I spent last weekend volunteering at Aggie Days in Calgary surrounded by kids and strollers. I did some people watching and couldn’t help but notice how excited the kids were to see all the animals, machinery etc. These things are a novelty for city kids (the majority of Aggie Days attendees are urban folks). I think that those of us who grew up on a farm and live on a farm sometimes take these things for granted. As my brother said to me recently, we had the privilege of experiencing both worlds – country and city… rural and urban. Most kids these days will only experience one world – the city. This is just another reason why ag education is so important and why I feel so strongly about it. 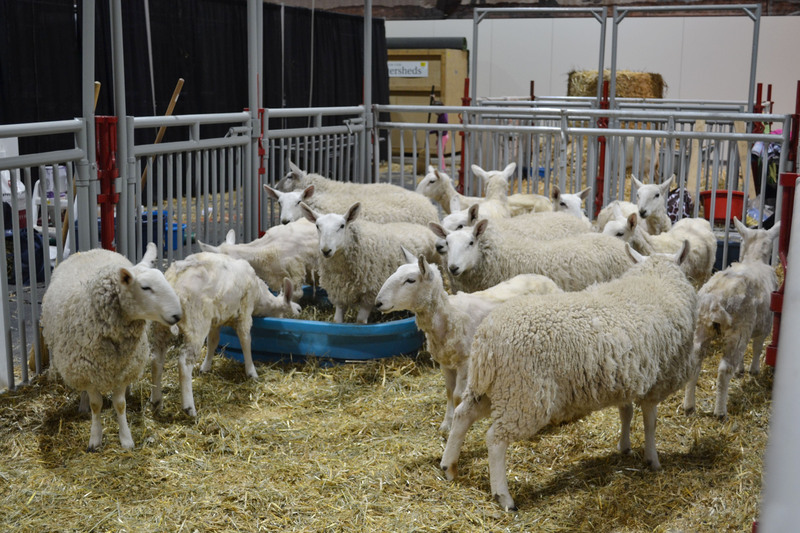 Aggie Days is a free agricultural education experience for the public. It is my hope that through events like this people will make the connection between farm and food. Of course I’m sure this doesn’t always happen. Take the animals for example. The live animals are always a huge draw at Aggie Days. Kids love seeing the animals and petting them if possible. And really, what kid wouldn’t? I completely understand. As a child I too loved animals, and still do. But it’s important to remember that Aggie Days is NOT a glorified petting zoo. Each animal there has a purpose (sometimes more than one purpose). And the idea behind events such as Aggie Days is to help people recognize that purpose and make that connection. That cute calf you see over there will grow up and one day become your dinner. It’s not meant to be harsh or cruel, but simply reality. A reality that you learn very quickly as a child growing up on the farm. But city children are not exposed to this and therefore need to be taught through ag education events. And it goes beyond food. While we may end up eating that adorable lamb over there, we’re also shearing sheep to use their wool to make clothing, blankets etc. 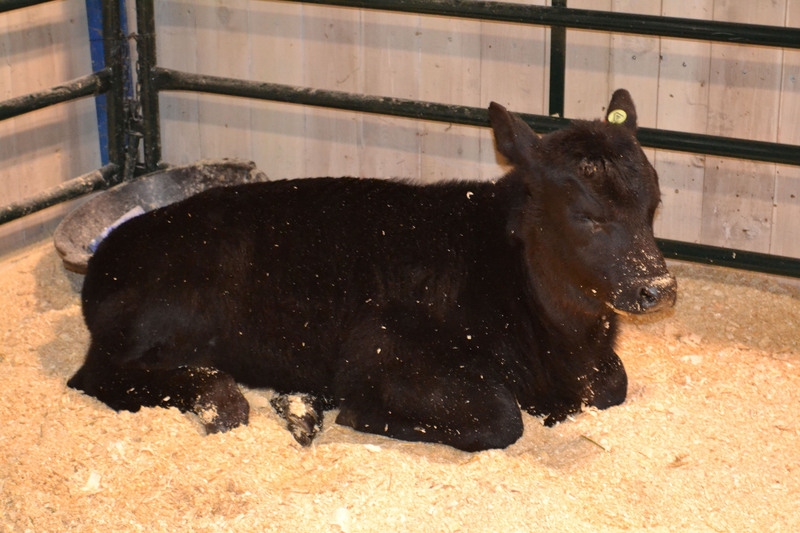 A black Angus calf. Your future dinner? 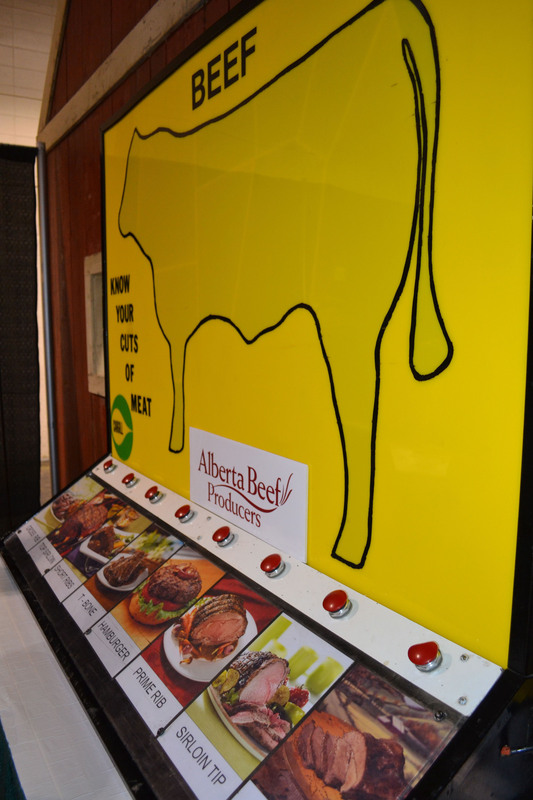 An interactive Alberta Beef Producers display that shows where the various cuts of meat come from on the animal. Sheep ready to be sheared. Milking a cow. This is where your milk really comes from… not the store. Let’s also talk a bit about grains. If you manage to escape the city every now and then in the summer, those beautiful fields you drive by are not just there for looks. The grain that is grown in those fields will be processed and end up in many of your foods. It’s also used in non-food products. For example, soybeans are not just used for food – they’re also used in items like beauty products, plastics and crayons. 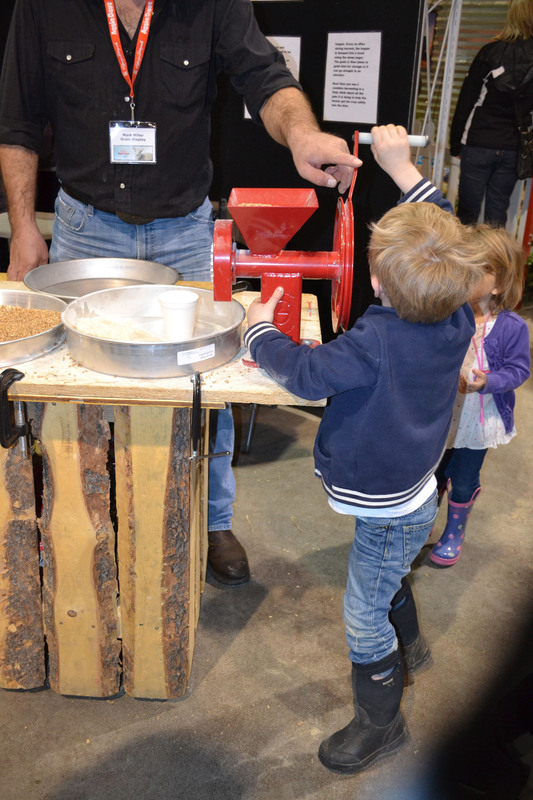 At Aggie Days kids had the opportunity to try milling flour from Canadian wheat. 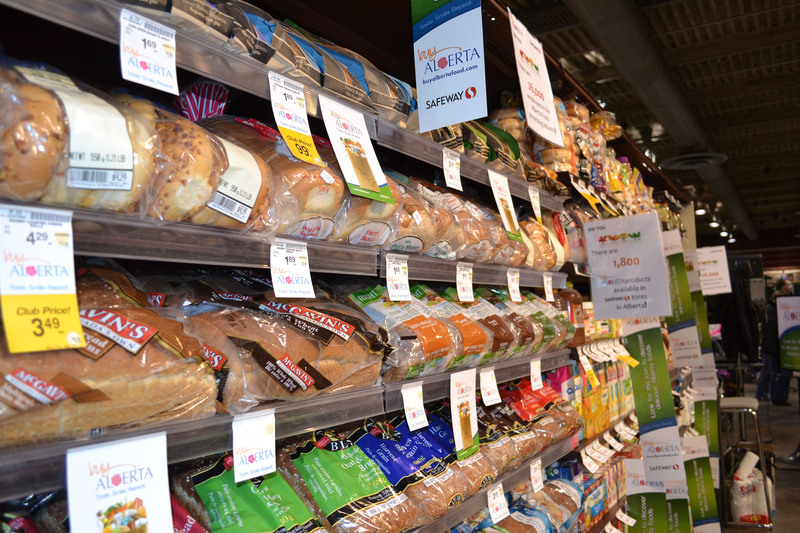 This flour is used to make the bread you purchase in your grocery store. Milling flour from Canadian wheat. I encourage you to attend ag education events like Aggie Days in your own community and be open to learning about agriculture. If you have any questions, please comment below. I love hearing from you! Also, the animals are not there to be mauled, man-handled or otherwise traumatized by the tens of thousands of visitors! Touching doesn’t always equal a learning opportunity. I’m quite happy to see good, solid fences between visitors & the livestock. It’s just safer for both the children & animals. I agree. Sometimes touching the animals is not the best idea. If the owners say no petting there’s a good reason for it.